This isn't much of a dog book review. I simply love. love. love, love, love this book. I got it for 5 php. That's roughly 12 cents, and it was worth every penny. 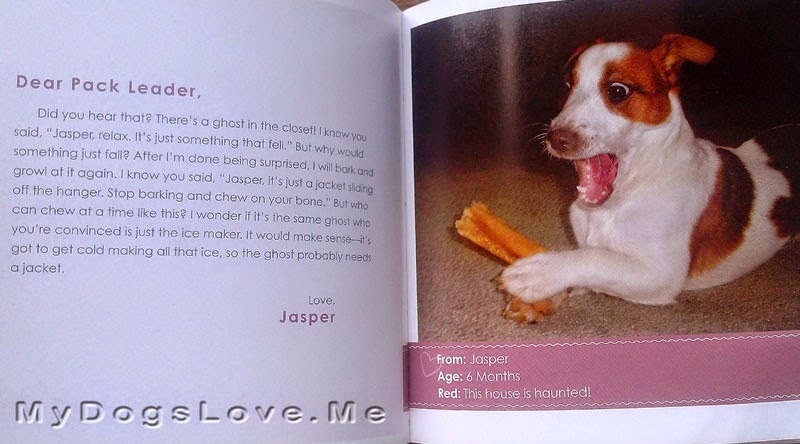 Excerpts from the dog book. 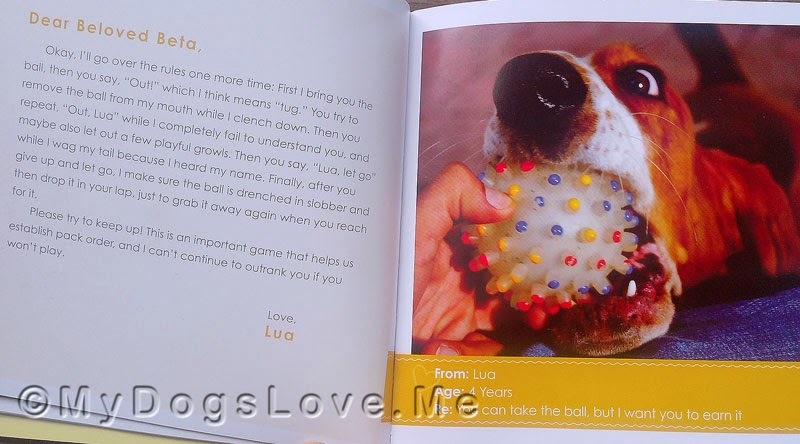 Lua's beta is a little slow in picking up the rules of the game. Please try to keep up! This is an important game that helps us establish pack order and I can't continue to outrank you if you won't play. Indeed, some humans are slow. LOL. 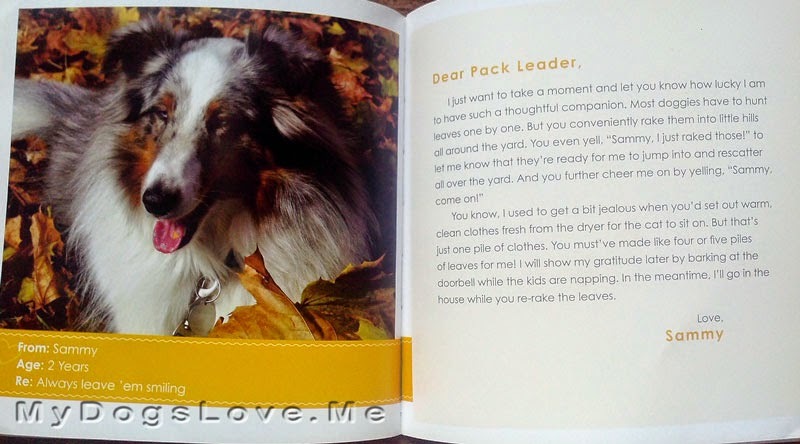 One of my favorite stories is Sammy's letter of appreciation to his pack leader. Most doggies have to hunt leaves one by one. But you conveniently rake them into little hills all around the yard. You even yell, "Sammy, I just raked those!" to let me know that they're ready for me to jump into and rescatter all over the yard. Did you hear that? There's a ghost in the closet! I read the entire book in a single seating. It had me laughing and crying at the same time. 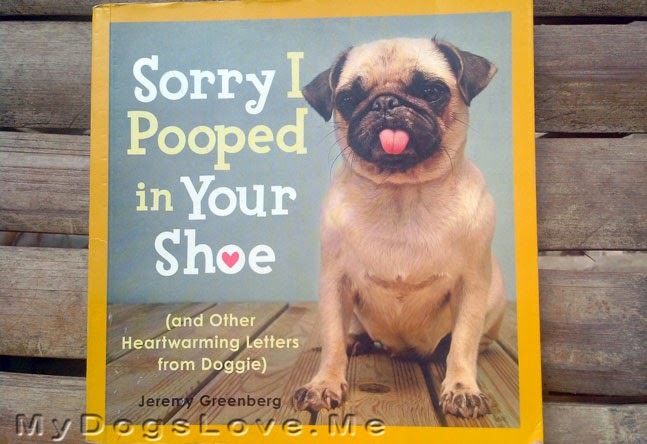 Jeremy Greenberg authored a beautiful book of love letters made especially for dog-loving pawrents like us. I'd definitely recommend grabbing a copy of this book if you get a chance. P.S. We hadn't gotten our Christmas Cards out because life was... well, life. Sounds like a fun read. Have a marvellous Monday. Looks like a good Christmas present. Thanks for sharing, dear friends. Hope all is well with you ... we miss you! Sounds like a delightful book to gather the WDA around and read aloud! That sounds like a really cute book!!! Wow, got to tell my Human. She'll surely want to read that book!